This limited edition piece is Officially Licensed by the NBA, and a certificate of authenticity is on the back of each frame. An exclusive piece produced by The Highland Mint. Celebrate the legendary career of Kobe Bryant with this exclusive print! 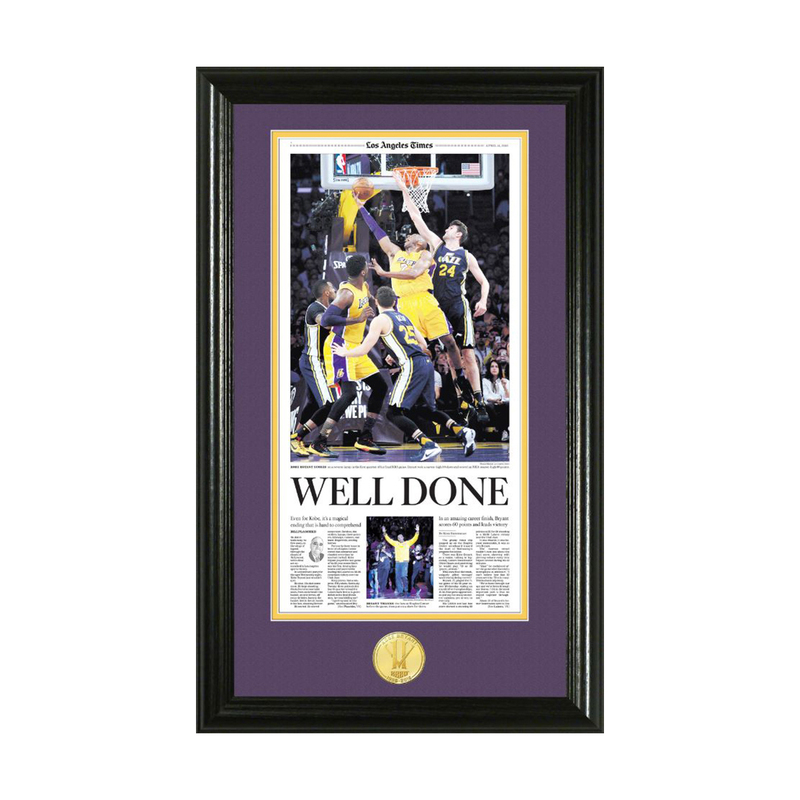 Featured in a 12”x20” frame under glass and in custom matting is the 7” x 14 ” reprint from the 4/14/16 Los Angeles Times sports section with a 39mm minted Kobe Bryant commemorative coin.